Learn the licensing requirements you need to best prepare for your next assignment! 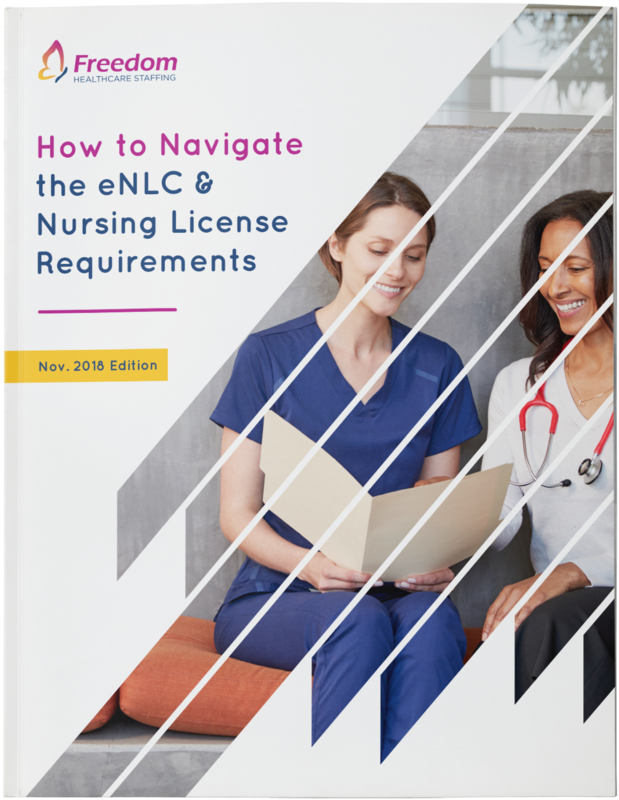 Nurse licensing requirements are complicated – some states have their own policies and fees while others are members of the Enhanced Nurse Licensure Compact (eNLC). The best way to navigate these murky waters as a traveling nurse is to have all the things you need laid out in front of you, use this handy guide to do just that! Learn about the eNLC, the non-eNLC states and how to prepare for the various requirements each brings to the table so you can better prepare for your next travel nursing assignment! After you download your guide, sign up for job alerts from Freedom Healthcare Staffing to receive the hottest available positions and locations from around the country!